Welcome to VTE Inc., your home for high quality terminal insulators. At VTE Inc., we know insulators. We've been making them for over 30 years. Because of this experience, we supply insulators to some of the biggest names in industry. 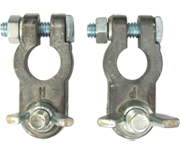 Increase product safety and reduce potential liability by preventing electrical shorts and shock with VTE Terminal Insulators. 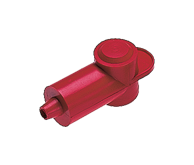 High quality VTE Terminal Insulators let customers know your product was designed with the highest standards. 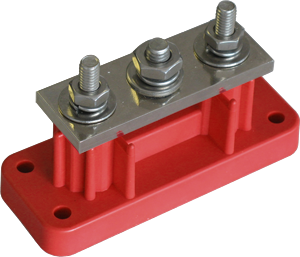 VTE Inc. also produces a large line of terminal busbars and power posts. 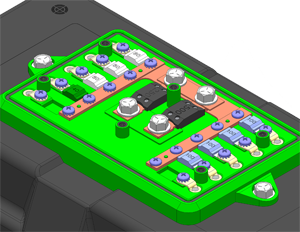 Low on cost and high on performance, these devices help control electrical lines in your applications, connect power to control units, pass current through a barrier, or just extend and distribute power in your device. 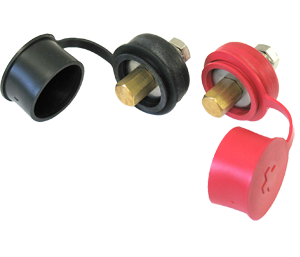 VTE Inc. now carries fuses and fuse holders. From high amperage Class T and ANL fuses down to 2 amp plug in fuses, VTE has the right part for the job. 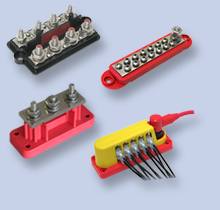 We manufacture our large fuse holders in house, so you know we have safety and compliance in mind. Protect your investments from over current situations, while complying with industry and safety standards. Have a look around and see what VTE Inc. can do for you.